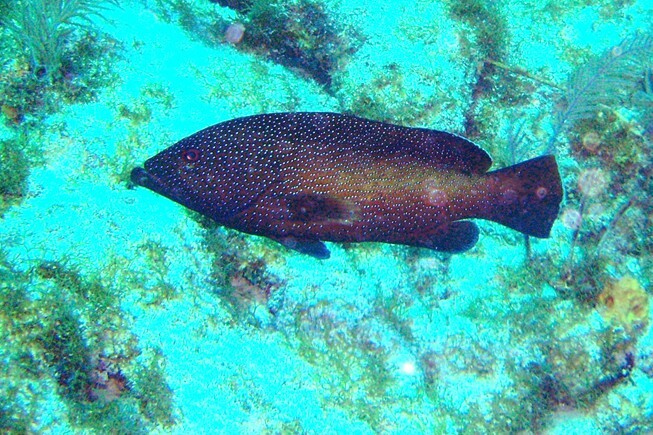 This appears to be a Coney, a member of Grouper family. Photo by Rod 16 Jan 06 in about 30 feet water. 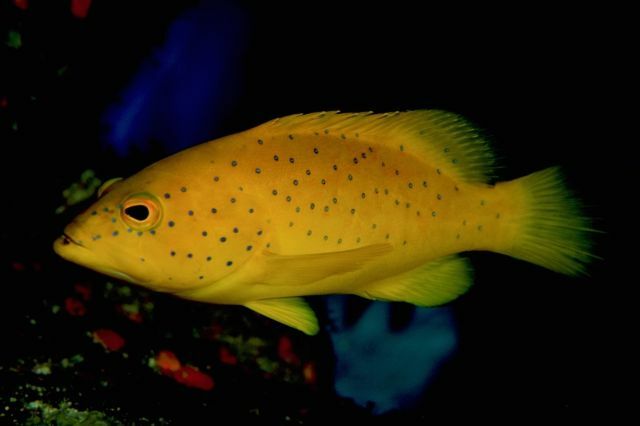 Photo is a bicolor variation. 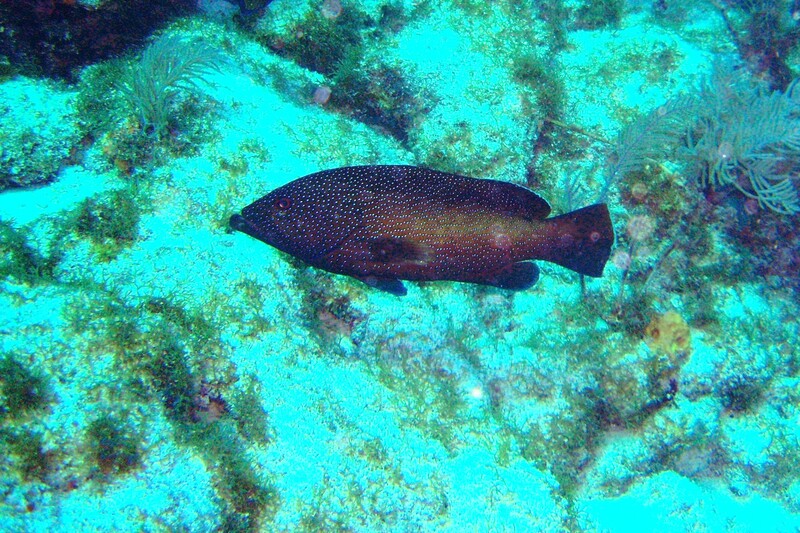 Location was South Ledges, Elbow Reef, Key Largo. 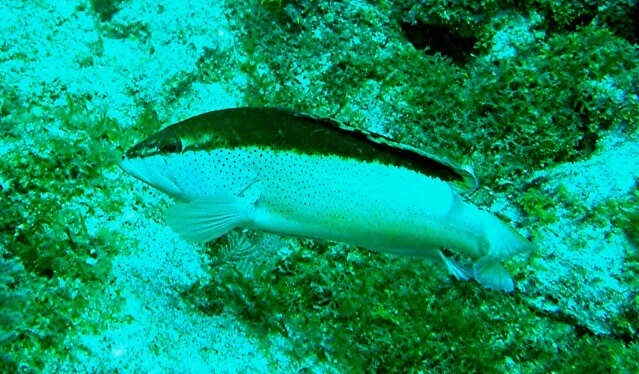 This appears to be a Coney, a member of Grouper family. Photo by Rod 03 March 2008 in about 30 feet water. Photo is a different color variation. 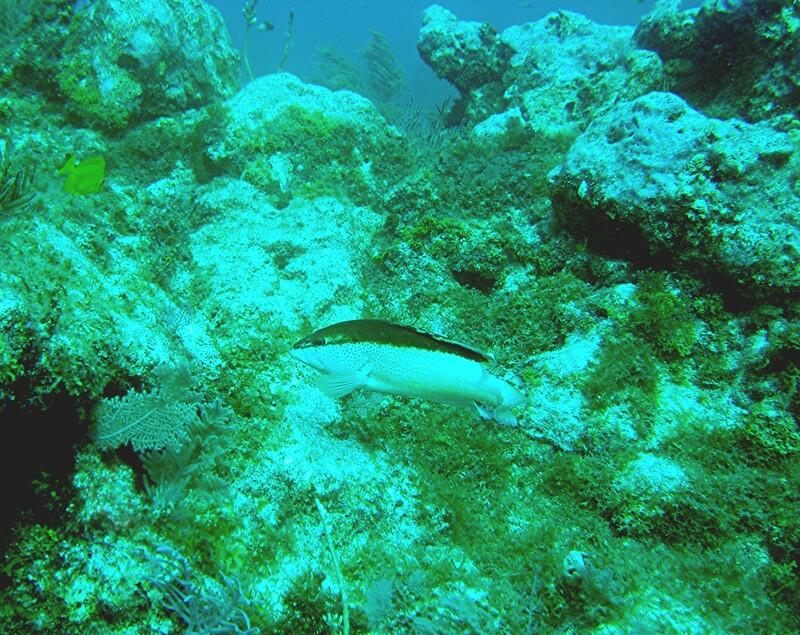 Location was South Ledges, Elbow Reef, Key Largo.